In Venezuela, they've started to collect signatures against intervention by the USA in the country's internal affairs. 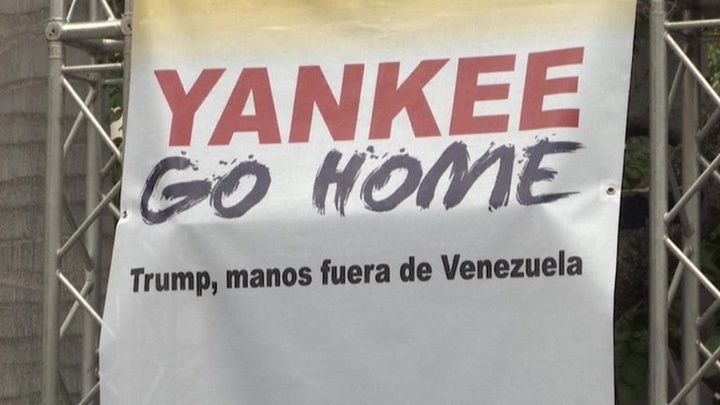 The motto of the event is "Yankees, go home!" Any resident of Venezuela can join the statement demanding that Washington end the pressure. It suffices to show their ID. The campaign will last until the end of the week. Its participants declare that the USA doesn't have any right to interfere with Venezuela's affairs and that, if necessary, they will protect their homeland with deadly force. Earlier, it came to their attention that the US President's Security Advisor, John Bolton, is trying to win over high ranking Venezuelan military officers. He stated that the USA would lift the sanctions against them if they supported Washington's proxy, Juan Guaidó. Otherwise, they would exclude them from the international financial system.